Walt Disney World is a big place… A VERY BIG PLACE. On a typically vacation you will walk as much as 20,000 steps a day. If you haven’t trained your body for that kind of punishment, you will be sorry by Day 2 when your feet will be screaming their revolt. The easiest way to get ready is to start walking… and walking… and walking because that’s what you are going to be doing at Disney. To start off with, as with all exercise programs, you will want to consult your family doctor before starting any type of program. This is especially true if you have any type of pre-existing condition. You will probably lose some weight while training for your vacation. Anytime you slim down you are taking weight off your lower extremities meaning your feet, knees and hips will have less work to do to carry you around. If you are including any aerobic activity your body will be better prepared to beat the inevitable Florida heat. This is such a personal choice but one of the most important ones you will make in your training journey. You best bet will be to go to a retailer who can give you a walking test to see which type of shoe would best fit your feet. Maybe you need high arches or wide width. No matter the need, there is a sneaker out there for you. Now that you have the sneaker that fits you better than Cinderella’s Glass Slipper BREAK THEM IN. Disney is the last place you want to break in a new pair of sneakers. Can you say Blister City?!?! Walking programs are a great way to get steps in. 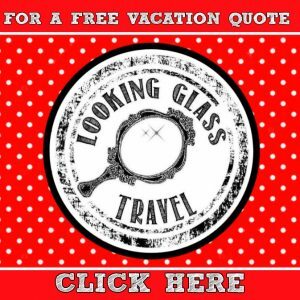 If you are reading this, you have likely already booked your vacation or are seriously considering doing so. That means you need to start training ASAP. However, even if you are only a few weeks from your trip, it’s better late than never. To start your program, it’s as simple as lacing up those fancy, schmancy new sneakers you just bought and hitting the pavement. To make sure you are reducing the possibility of injury make sure you start with a five-minute warm-up walk. After your warm up, start walking at a brisk pace. If you can only start with a five-minute walk, so be it. Tomorrow try for 5 ½ minutes. A lot of walking programs will have you stay at the same walking time for a whole week before ramping up 30 seconds or a minutes each week. And just as your workout started with a warm-up to prevent injury, end with a five-minute cool down and some light stretching – never stretch at the beginning of your workout when your muscles are cold, always wait until the end. You should aim for walking four to five days per week. 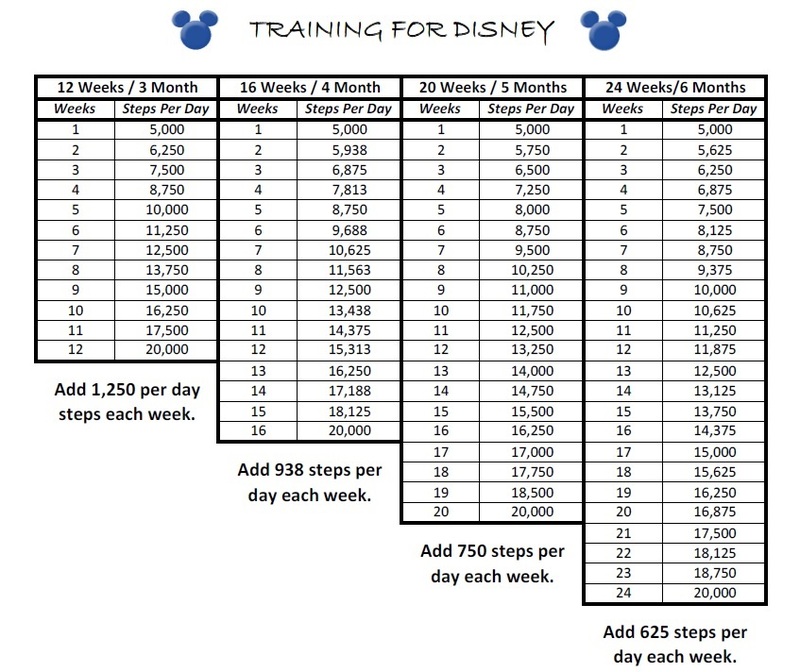 Another way to get your body prepared for Walt Disney World is work your way up to 20,000 steps a day incrementally. You might start with 5,000 steps per day for a week then add steps each week until you are at 20,000 a day. Park as far away as possible from your work… safely. Let’s be serious, do not park in the unlit corner of your parking lot. Take the stairs. Each flight of stairs is roughly 38 steps. Even if you start with just taking the stair down, it’s better than taking the elevator. Set a reminder on your phone to walk. Take your dog for a walk instead of just letting them out. Did you know that most TV commercial breaks are approximately two minutes and happen five times an hour? Use that time you get up and walk around your house. That extra 10 minutes could get you as many as 1,000 steps if you walk at a brisk 3.5 miles per hour. If you take public transportation to work, get off one stop early and walk the rest of the way. Do you send emails or call co-workers who are just down the hall? Instead of that email or call, get up and walk down there. Do you drop your kids at practice then sit there and watch? Why don’t you grab some of the other moms and dads and take a fun walk around the sports facility? Instead of having your lunch delivered, go out and get it. Skip the drive-thru, instead walk into the bank, restaurant, drugstore, etc. Don’t have the motivation to walk? Create a competition among your family, co-workers, friends, etc. Depending on how much time you have before your Disney vacation here are some charts to help you ramp up your steps per day. Activity apps are a great way to record your steps. These apps can record everything from mileage to weight loss. The biggest name in the activity app genre is Fitbit which is a wearable bracelet which records step and some models even collect your heart rate and analyze your sleep. If you are an iPhone user, you already have a wonderful little tool called Health. This free app not only includes activity management, it also includes nutrition, sleep analysis, health records and body measurements. Charity Miles is a great way to walk for a purpose. For each mile you complete, a donation with be made to the charity of your choice. It’s typically $0.25 for walking and running and $0.10 for cycling. Do you live in a location where walking outside is not possible? The Virtual Walk app can help you with “dread”mill boredom. It takes you through virtual walks of scenic places around the world such as the Appalachian Trail, Central Park, the Grand Canyon, the Pyramids of Giza, and the Chicago Lakefront Path. If you want to ramp up your workout try Couch to 5k. This easy-to-use app takes you through an eight-week workout which will have you running a 5k by the time you are done. 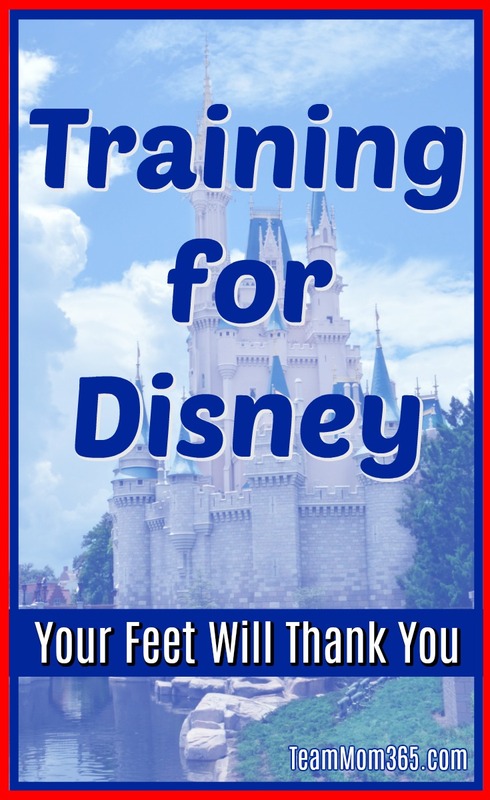 Walking will be a great start to training your body for your Disney vacation. However, there are other things you can do to get ready. The easiest, and cheapest, activity to do is non-weight strength training. This includes exercises which don’t need weights like planks, sit-ups, push-ups, squats, calf raises and lunges. You want to target areas such as your back, abs, glutes, hamstrings, quads and calf muscles which hold you upright and aid in walking. 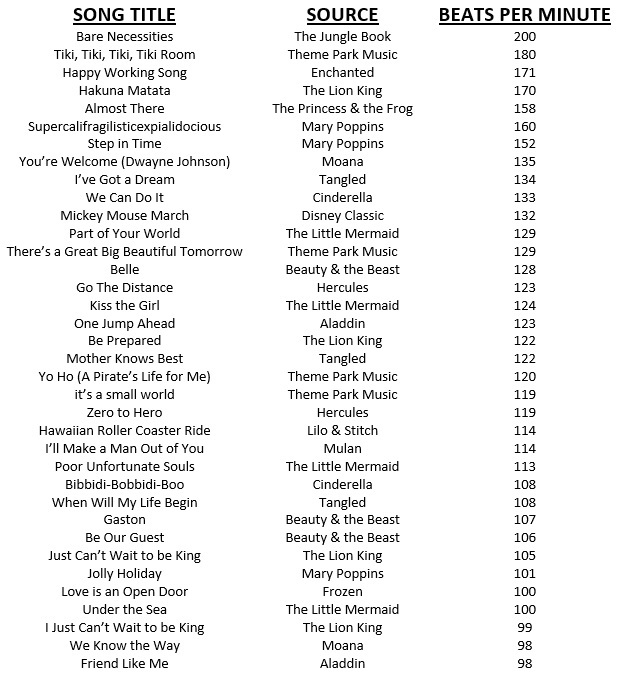 As a former Jazzercise instructor (yes, it does still exist), I can’t help but take my favorite Disney songs and make workout routines out of them. It can be as simple as doing squats to “Under the Sea” or leg abductions to “We Know the Way” or it can be full on routines. No matter what, incorporate these exercises in your workout regimen and you will reap the benefits. Sounds easy, right? Just think about how your feet will thank you after those long days at Disney. That will be the motivation to keep you walking toward your goal of averaging 20,000 steps a day. Thanks! I love working out to Disney music. This are awesome tips. My feet always get so sore! These are some solid tips! We always recommend bringing several pairs of shoes to avoid foot fatigue as well as making sure you’ve got blister bandaids to protect any forming sores. Baby powder in the socks helps keep your feet nice and dry as well – for those especially muggy days in WDW.